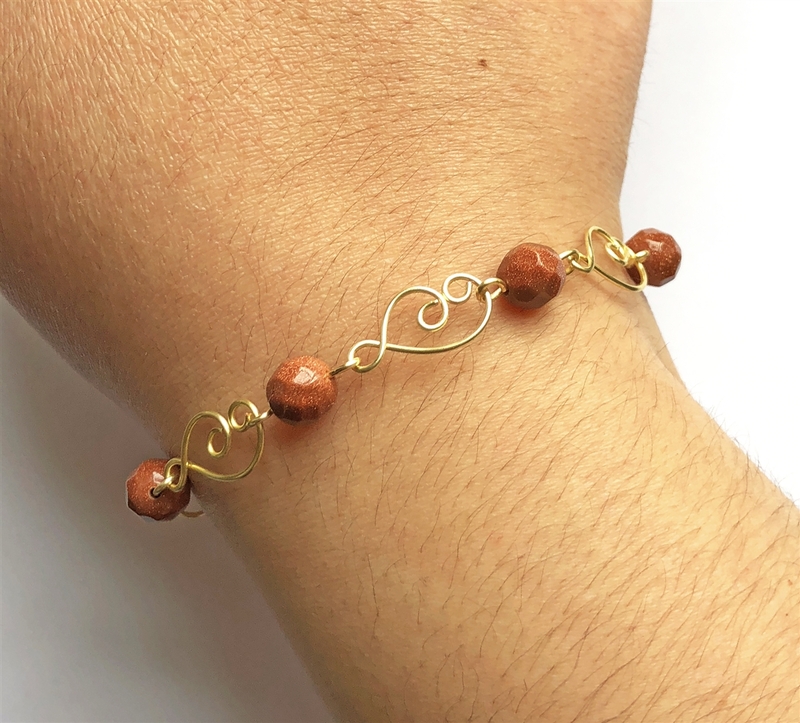 Beautiful brown goldstone wire bracelet with faceted beads, made with not tarnish gold plated wire. 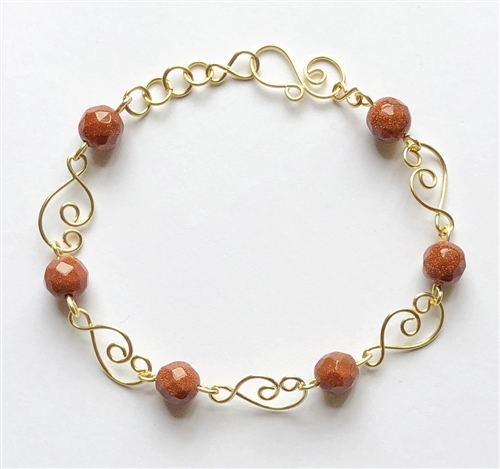 Bracelet is handmade with gold design links and spiral wire clasp. Beads are glass, semi precious beads, faceted beads, and round. 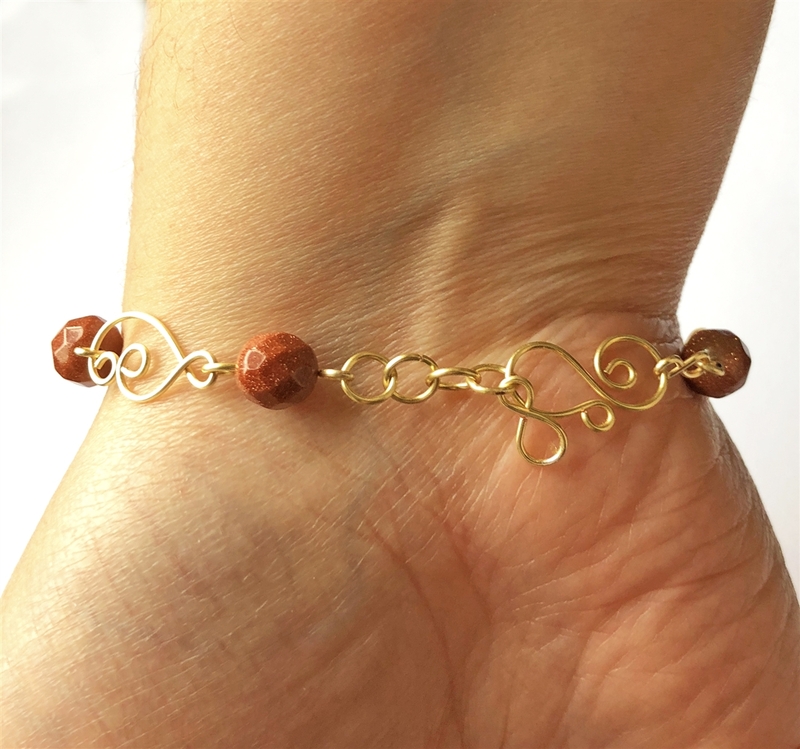 Wire jewelry, hand-formed, handmade bracelet, gold plated wire, wire, bracelet, wire bracelet design, nickel free, Javi's Wire, US made. 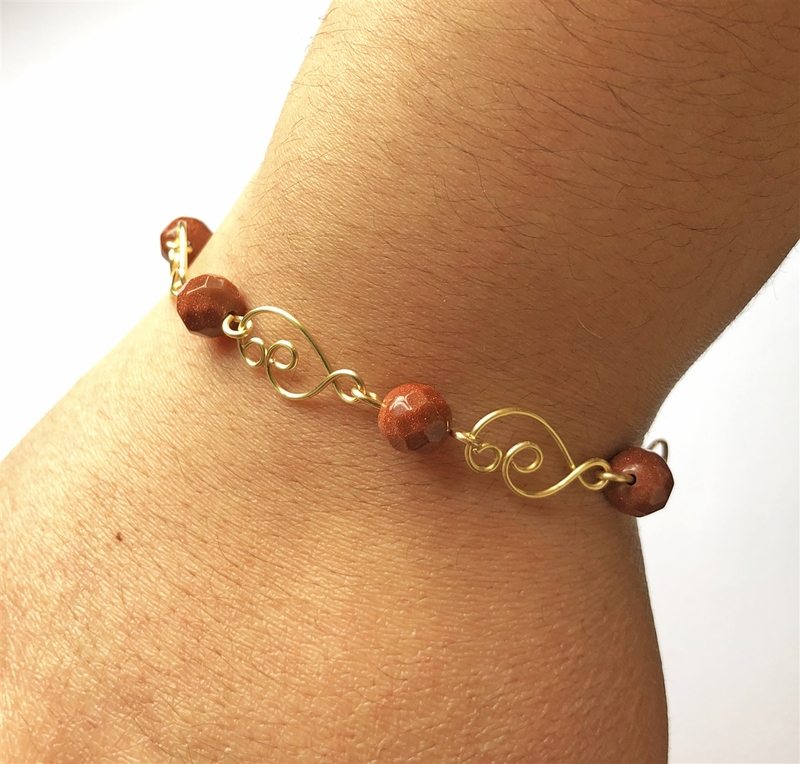 Measuring about 7.5 inches, this bracelet is adjustable and has 1 inch extender. Made by Javiera Parry.